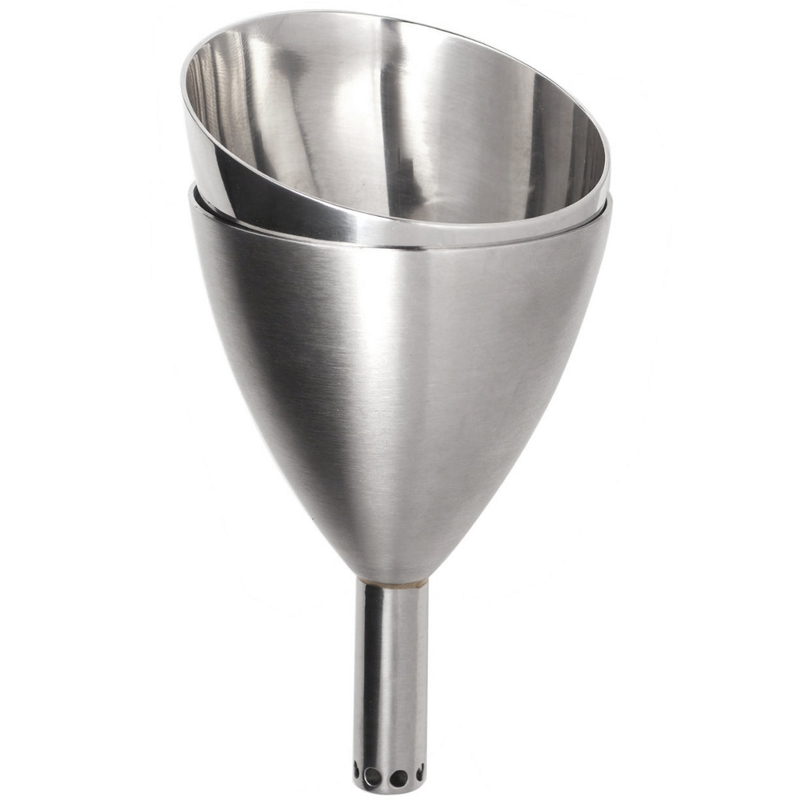 A great tool for decanting wine, this Rabbit wine-shower funnel comes with a sediment strainer. Made from polished stainless steel, it creates a "shower" when wine is poured into a decanter, which allows the wine to absorb more oxygen in a shorter time. Fine red wines often develop some sediment while aging and old corks may crumble when pulled, but you can easily remove these by placing the strainer in the shower funnel before pouring wine into the decanter. Best of all, this funnel and strainer combo is dishwasher safe for easy cleaning.